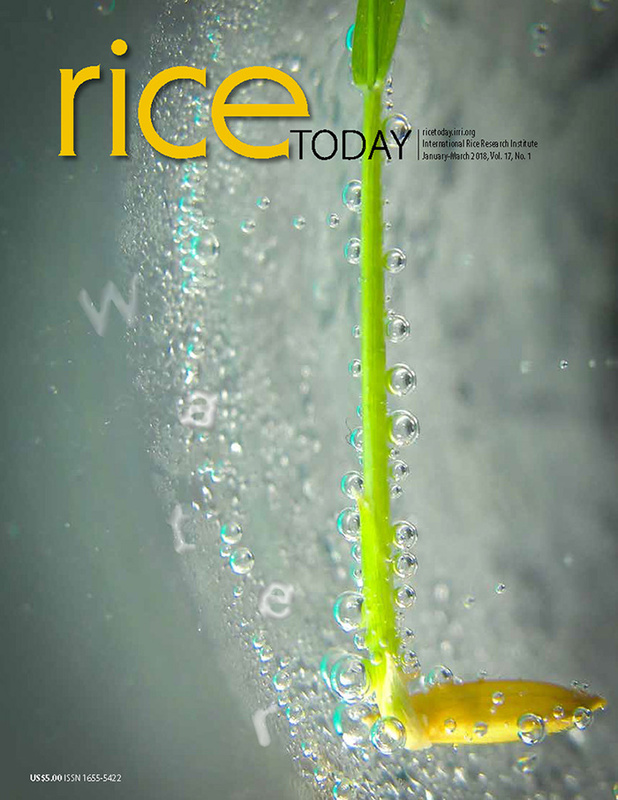 BANGKOK, Thailand - National trade policies must adapt to changes in the global rice market for a healthy rice supply chain that’s anchored on market-driven rice prices. This was proposed by Suthad Setboonsarng, economist and member of the board of Banpu PLC, one of the largest companies in Thailand, during the Global Rice Market and Trade Summit held at the Thai capital on 28-29 October 2014. The summit is a part of the 4th International Rice Congress, the world's largest gathering of rice science and industry held every four years. Dr. Setboonsarng is also a former member of IRRI Board of Trustees. Dr. Setboonsarng talked about ongoing changes in national and regional dynamics and how these are affecting rice trade. Areas of change include population growth, shifting demographics caused by the rise of the middle class in Asia, effects of climate change and water scarcity that force rice production to converge in particular areas, and government rice policies. All these, he said, puts to task national strategies in ensuring steady production and stable prices. He also said that liberalizing rice trade policies is the way forward for government to deal with the changing global market. Dr. Setboonsarng, who was speaking about medium-term implications of the dynamics of the international rice market on rice exporters, added that rice, considered a political commodity, must be managed under liberal trade policies to allow efficiency. Providing a national context to the summit was Ludovico Jarina, deputy administrator of the Philippine National Food Authority. He talked about how important rice is to the Philippines, a country of 100 million. Eighty-four percent of Filipinos eat rice, which takes up 45% of household income. This, he said, has made the average household vulnerable to changes in rice prices. Mr. Jarina said that despite growth in production, the Philippines remains an importer due to its geography and population. "Importation is not government policy, but is resorted to when there is projected shortage," he said. He mentioned that, over a three-year period, about 1.6 million hectares of rice area were affected by various calamities, leading to an average production loss of almost 600,000 tons per year. The country is implementing the Food Staples Sufficiency Program, a suite of projects aimed at increasing rice production and making Filipino farmers more competitive.